Produktinformationen "Fourth W. Wines: Elefante Tempranillo 2016, Spanien, La Mancha, Rotwein"
2016 Vintage: After several uncertain and inconsistent vintages, 2016 was a breath of rather warm air. A very hot and dry vintage with record breaking July temperatures was moderated by the high altitude of Manchuela and the age of the vineyards. Light rain and cooler weather in Autumn revitalised the vines before a trouble free harvest and outstanding, intensely flavoured fruit. Tasting Note: The nose is lifted and expressive with an array of dark berry aromas, ground spice, earth and notes of spicy oak. The palate offers a burst of mouth-filling ripe berry flavours with varietal cherry cola and smoked spice before supple tannins and lovely fine grained savoury oak provide definition to the impressively long finish. Whilst offering excellent drinking now, it will gain complexity and character over five years of cellaring. 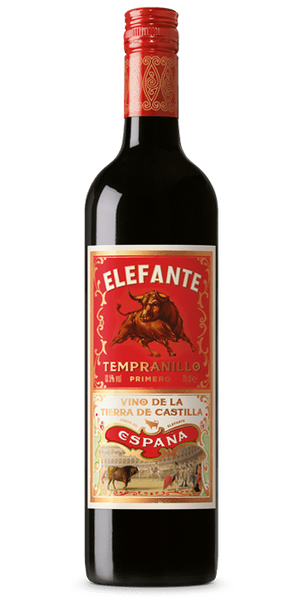 Weiterführende Links zu "Fourth W. Wines: Elefante Tempranillo 2016, Spanien, La Mancha, Rotwein"
Kundenbewertungen für "Fourth W. Wines: Elefante Tempranillo 2016, Spanien, La Mancha, Rotwein"